Fox, Erica Ariel. 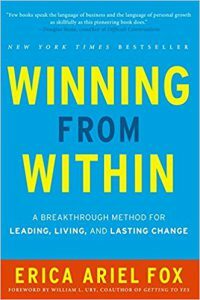 Winning from Within: A Breakthrough Method for Leading, Living, and Lasting Change. HarperBusiness, 2013. A well-written book about archetypes, leadership and change for business people. The author teaches negotiation at Harvard Law School.